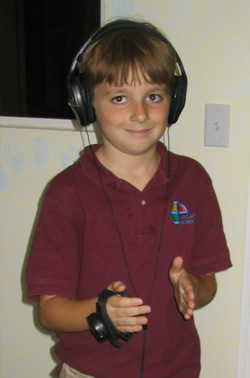 The Interactive Metronome is a computer based program that helps to improve attention and coordination in children and adults. The program combines the concept of a musical metronome with a technology based system that measures and improves a person’s rhythm and timing. The method uses thirteen different hand and foot exercises in a tapping motion. The competitive or casual athlete can also benefit from the Interactive Metronome. People seeking improvement with their soccer/hockey/basketball skills, baseball or golf swing experience positive results.